Hi all, today we have a Guest Designer. 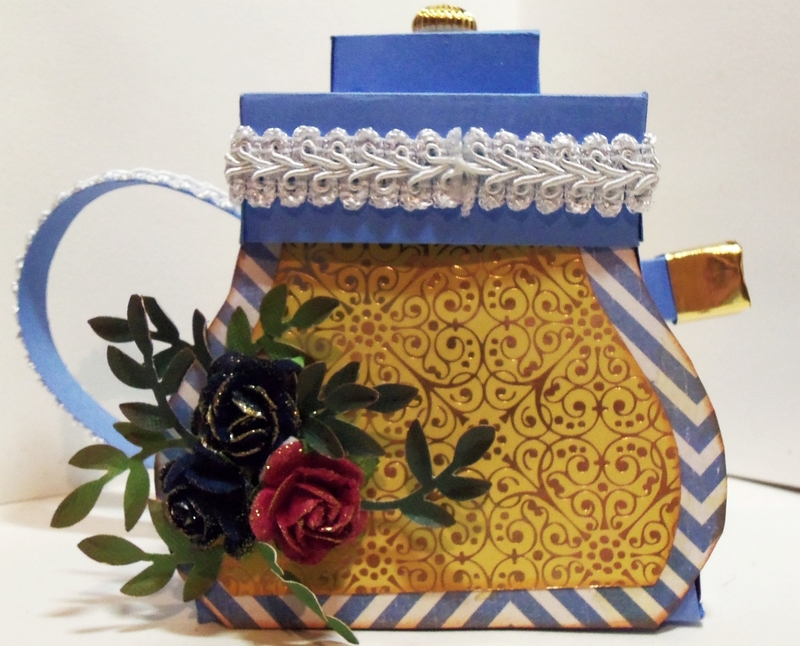 Kathy from DoubleK-Krafts made this beautiful Teapot Exploding Gift Box. 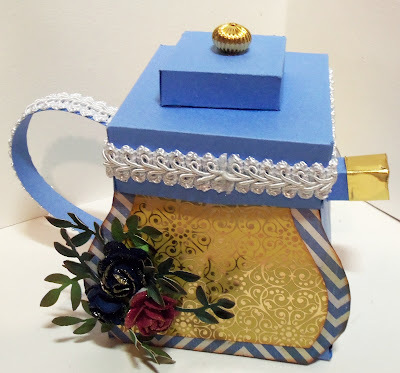 This is her version on my recently released Teapot Exploding Box Tutorial. I love how she decorated her box. She even added a little knob on top of the lid. So cool! Since this is an Exploding Box, you can practically use it in many ways. 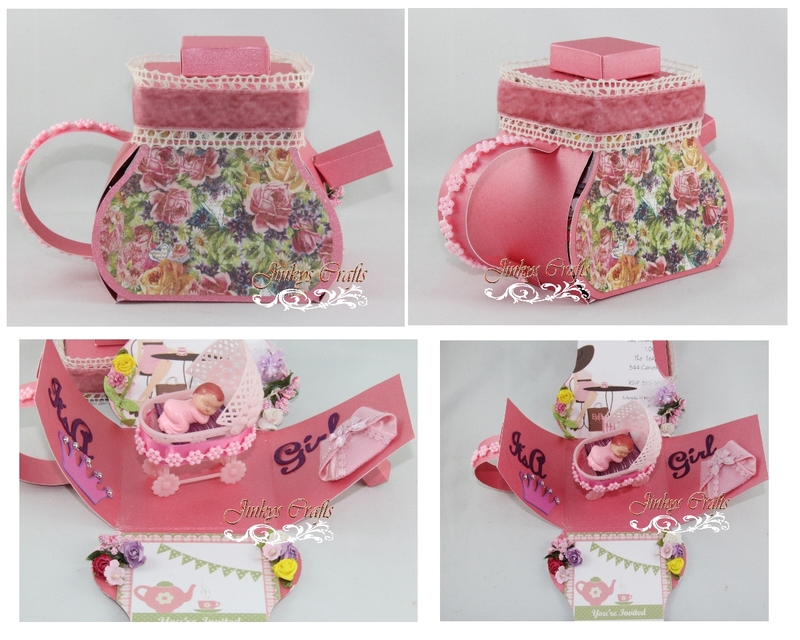 I like what she did, she used the Teapot Exploding Box to house another cute little gift box. 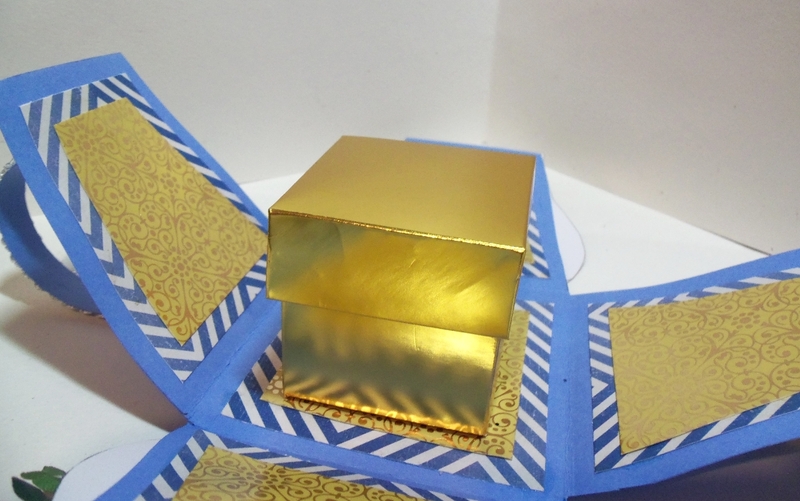 It is like a box-inside-a box type of thing. So guys, the Teapot Exploding Box PDF Tutorial is now available. I know I promised to get it done on the weekend. The PDF download includes 5 pages + 18 photos of step-by-step instructions and Templates. I would like to Thank Kathy for doing an inspiration project for Jinky's Crafts. If anyone here would love to guest post and use my Templates, just send me an email. I would love to see different versions of my Templates. Here's my very 1st version of the Teapot Exploding Box Template. Stay tuned for more inspiration projects. Thanks a lot for stopping by today. Happy Crafting! Kathy's version turned out wonderful! I always love your projects and am always fascinated with the projects you share-Such a great guest to have. Jinky I would love to have you as a guest on my blog-I do a "I Admire You" guest feature if you are interested.